Miroslav Mićanović (Brčko, 1960) graduated from the Faculty of Humanities and Social Sciences in Zagreb. He is an author of poetry, short prose and essays, as well as co-editor of several contemporary Croatian poetry collections. His works have been included in various anthologies and translated into Slovenian, Macedonian, Slovak, Ukrainian, Lithuanian, Hungarian, Polish, French, Spanish, German and English. He has broadcasted and published his poetry, prose, and criticism on the radio as well as in daily newspapers and literary magazines. He participates in Croatian and European literary festivals and leads poetry and short story workshops. For many years, Mićanović has been the editor of the literary magazine Quorum and publications with Naklada MD, based in Zagreb. 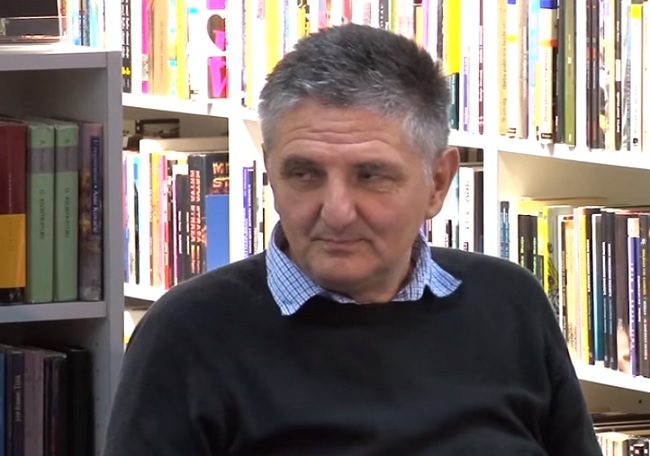 Miroslav Mićanović was awarded the Večernji list Prize in 2003 and 2007 for best short story, as well as the Duhovno hrašće and Fran Galović Award for his poetry and short prose. He works at the Croatian Education and Teacher Training Agency, and lives in Zagreb with his family. He has to speak in order to recognize himself and the world around him, to present what happened and what remains hidden, and his words will give resonance and force to the moments of silence. All the time the visible and invisible enter, actual and imaginary collide, in his voice and his verses. We can see an event and its shadow, and hear sounds and words that circle around it, but in the end what we can't tell is whether that was his voice or just an echo of a forgotten past.